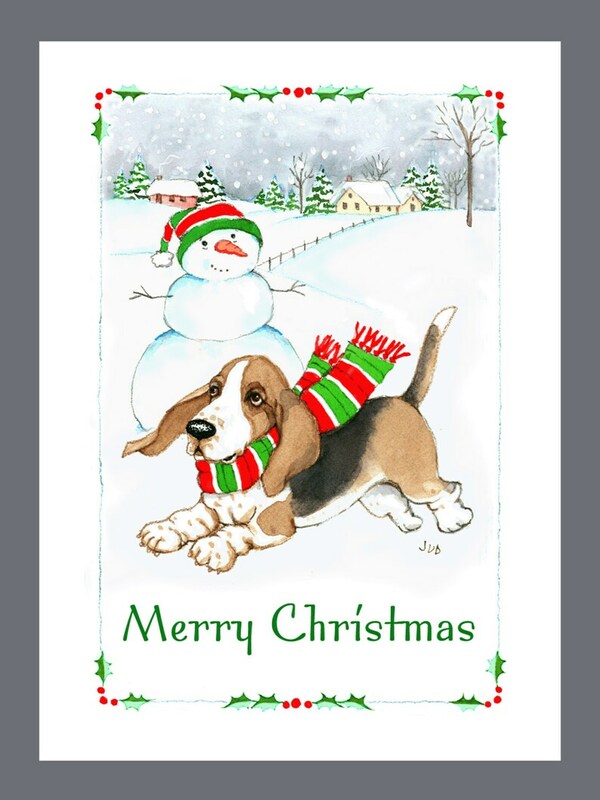 The Mellow Basset Hound is featured on this Christmas Card. Share your Holiday Greetings to family & friends with your favorite canine companion! I love these cards. Captured my Basset’s fun side. Will be buying more. Thanks for making my Basset a star. Excellent quality and price! Thank you! Very nice cards and card stock. Thank you!